Back cover blurb: Four friends visit the island. But only three return . 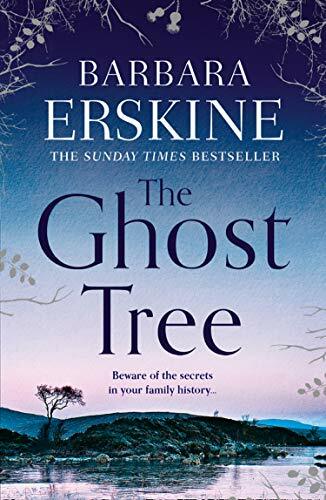 . . Detective Inspector Hulda Hermannsdóttir is sent to the isolated island of Elliðaey to investigate and soon finds haunting similarities with a previous case - a young woman found murdered ten years ago in the equally desolate Westfjords. Is there a patient killer stalking these barren outposts? As Hulda navigates a sinister game constructed of smoke and mirrors she is convinced that no one is telling the truth, including those closest to her. But who will crack first? And what secrets is the island hiding? 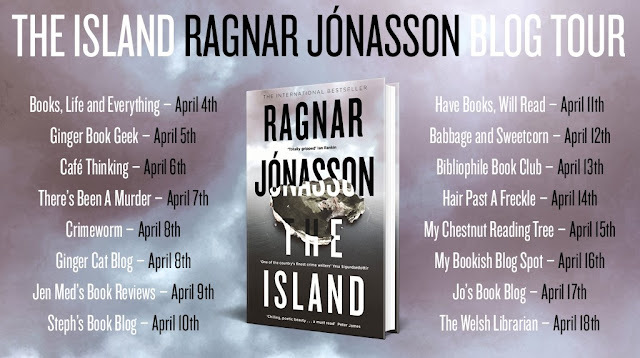 Haunting, suspenseful and as chilling as an Icelandic winter, The Island follows one woman's journey to find the truth hidden in the darkest shadows, and shine a light on her own dark past. The Island is the second novel in Ragnar Jónasson's Hidden Iceland series, and I enjoyed it immensely.. one thing worth mentioning about this particular series though, is that it has been written in reverse order and book 1 in the series, The Darkness sees our main protagonist Detective Inspector Hulda Hermannsdóttir at the end of her career with the Reykjavik police. Book 2, is somewhere in the middle and focuses on two murders, ten years apart. The first murder takes place in the late 1980’s, in an isolated rural location. A hideaway holiday cabin becomes a notorious crime scene when Dagur’s sister was brutally murdered there. For days she had been missing, but no one had thought that the worst possible thing that could have happened had. The family were not prepared for her brutal ending, or how brutally the rest of the family would be torn apart by the subsequent investigation. Ten years later, Dagur and his school friends, Benin, Alexandra, and Klara decide to take a trip to a remote island to honour the anniversary of his sisters death. It seems strange to them that they should choose to honour the occasion in this way, when they rarely speak about the past. 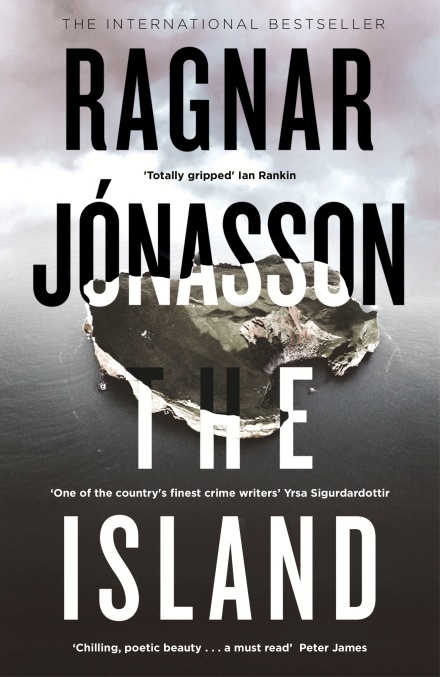 When Hulda is called to investigate a suspicious death on a remote island she is reluctant at first to travel. 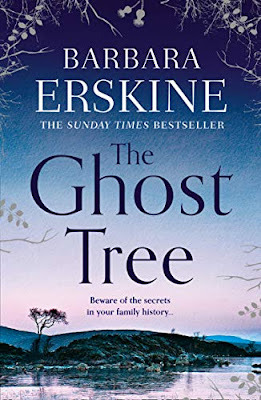 Until she realises that people are hiding things from her, and that present events may link to a previous crime, that may not have been solved as she was led to believe at the time. The Island is available via Amazon online and all good book shops. Thank You to the publishers who invited me to review a copy of this novel in exchange for an honest review and a spot on the official blog tour! Back cover blurb: Together can they overcome hardship, poverty and disaster? 1830s Shropshire. Anny Woodvine’s family has worked at the ironworks for as long as she can remember. The brightest child in her road and the first in her family to learn to read, Anny has big dreams. The moment she is asked to run messages to the big house, she’s ready to grab the opportunity with both hands. Margaret King, only daughter of the King family, is surrounded by privilege and wealth. But behind closed doors all is not what it seems. When Anny arrives, Margaret finds her first ally and friend. Together they plan to change their lives. But as disaster looms over the ironworks and the King House, Margaret and Anny find themselves surrounded by secrets and betrayal. Can they hold true to each other and find a way to overcome their fate? Or are they destined to repeat the mistakes of the past? Oh, what a beautifully written novel this is. Set in 1830’s Shropshire, The Daughters of Ironbridge tells the story of an unlikely and largely forbidden friendship of differing classes. Anny Woodvine, is the daughter of an iron worker at the local iron works. Margaret King is the daughter of the owner of famous King family, the owner of the iron works. Their lives could not be more different, yet circumstance brings them together. Anny Woodvine, although from a poor family, is well educated for both the time and her class. She is able to both read and write and upon delivering a message to the ‘Big House’ after a chance visit to her Father at the iron works is asked to be their messenger. It is whilst running what at first are nothing more than small errands that Anny meets Margaret, the King family daughter. Margaret is desperately lonely, despite her obvious wealth, she doesn’t have a good relationship with either her Father or Brother and a chance encounter between the girls leads to a tentative friendship. The girls both know that their friendship would be frowned upon by both their own families and society, so they begin meeting in secret and writing to each other when they are unable to meet, leaving their letters in an agreed hiding place. Both girls believe that nothing can break their friendship, and that together they can eventually change societies ideas about their individual classes. Until disaster strikes at the iron works, their ambitions are almost believable (particularly as a modern day reader). Is their friendship about to be tested to its limits? 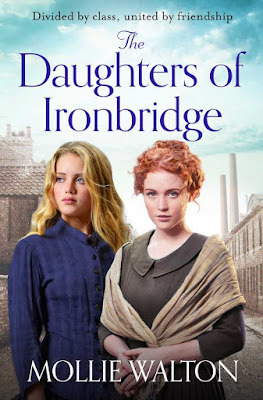 The Daughters of Ironbridge is the first in Mollie Walton’s Ironbridge Saga series and I cannot wait to read the next! The Daughters of Ironbridge is available from 18 April 2019. Back cover blurb: 'They say I must be put to death for what happened to Madame, and they want me to confess. But how can I confess what I don't believe I've done?' 1826, and all of London is in a frenzy. Crowds gather at the gates of the Old Bailey to watch as Frannie Langton, maid to Mr and Mrs Benham, goes on trial for their murder. The testimonies against her are damning - slave, whore, seductress. And they may be the truth. But they are not the whole truth. For the first time Frannie must tell her story. It begins with a girl learning to read on a plantation in Jamaica, and it ends in a grand house in London, where a beautiful woman waits to be freed. But through her fevered confessions, one burning question haunts Frannie Langton: could she have murdered the only person she ever loved? 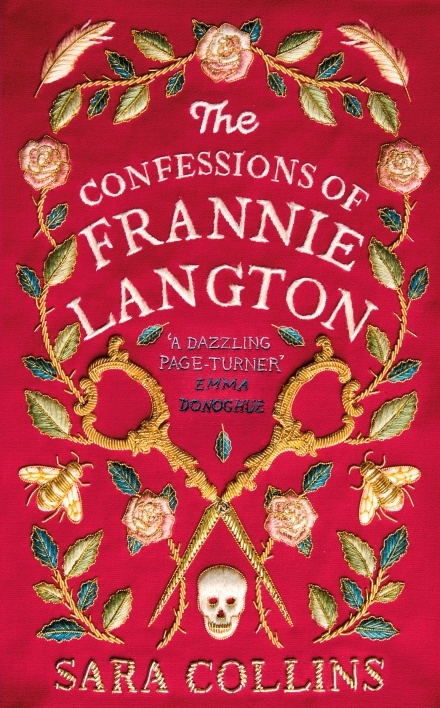 A beautiful and haunting tale about one woman's fight to tell her story, The Confessions of Frannie Langton leads you through laudanum-laced dressing rooms and dark-as-night back alleys, into the enthralling heart of Georgian London. 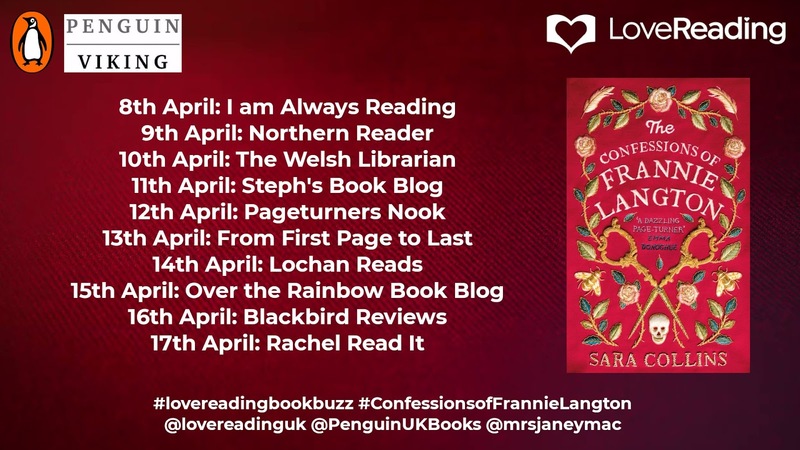 When I was offered the opportunity to read The confessions of Frannie Langton, I jumped at the chance, I am a huge fan of historical fiction, and the synopsis of this novel really captured my attention. Frances (Frannie) Langton was born on a plantation in Jamaica, known as 'Paradise', fast forward to April 1826 and she is in London, or more precisely in the dock of the Old Bailey, on trial for an almost unspeakable crime; Murder. Frannie is a mulatto, a “house girl” of unknown or uncertain parentage, the house she resides in is known as “Paradise”, but it is anything but. Frannie is essentially a slave, when the slave trade has been banned. But Jamaica hasn’t exactly set its slaves free and Frannie is trapped in a world of cruel experimentation and brutality. Were it not for her Master allowing her to be educated, Frannie would be miserable. In time Frannie’s Master, John Langton, takes Frannie to London to be gifted to the Benham family as a maid. But Mrs Benham takes an immediate liking to this unusually educated young woman and insists on having her as her own lady’s maid. A decision that will have fatal consequences for all involved. But did Frannie commit the murders that she is accused of, or is she just another working class scapegoat for a crime committed by those of privileged means? 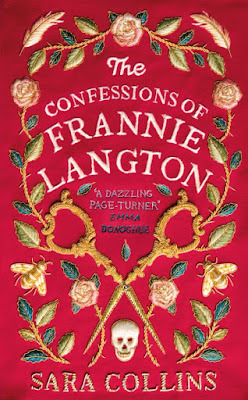 The confessions of Frannie Langton is a fascinating insight into the early nineteenth century, and society’s perception and treatment of both women and slaves, in a time when slavery was supposedly abolished. A beautifully written, yet tragic and at times harrowing novel, a must read. The confessions of Frannie Langton is available now via Amazon online and all good book shops. Back cover blurb: It’s the day Izzy's father will be released from jail. She has every reason to feel conflicted - he's the man who gave her a childhood filled with happy memories. But he has also just served seventeen years for the murder of her mother. Now, Izzy's father sends her a letter. He wants to talk, to defend himself against each piece of evidence from his trial. But should she give him the benefit of the doubt? Or is her father guilty as charged, and luring her into a trap? Gabe English is about to be released from prison. Part of her believes that she should be glad her Father is being released from jail. The other part knows that she cannot forgive him for what he did and should be hoping for him to stay and rot in jail. For Gabe was convicted of killing Izzy’s mother Alexandra in the most brutal way. Izzy has largely avoided the finer detail, wanting to not get in too deep to something that she can barely bring herself to think or talk about, even after all these years. Gabe sends Izzy a letter protesting his innocence, which Izzy wants to ignore. But then on the evening of his release he turns up outside the restaurant that Izzy’s Mother owned where Izzy has taken over, and Izzy feels compelled to speak to him against her better judgement. Gabe wants Izzy’s help in proving his innocence. Izzy isn’t certain that her father is not guilty, but realises that the case has always seemed a little off, like maybe some details were missing. Despite her better judgement she reluctantly begins looking into the night her Mother disappeared and the subsequent events leading up to her death. Throughout this novel we are questioning the same things as Izzy, feeling her scepticism, naivety and self doubt. Her relationship with her a Father is as expected, though sometimes her naivety can be a little grating. As for the novels conclusion ...well let’s just say I didn’t see it coming. 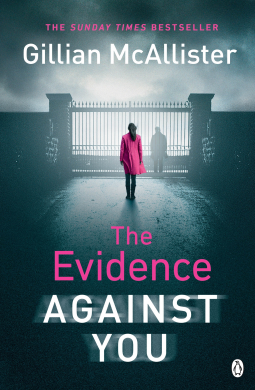 The Evidence Against You is available from 18 April 2019. 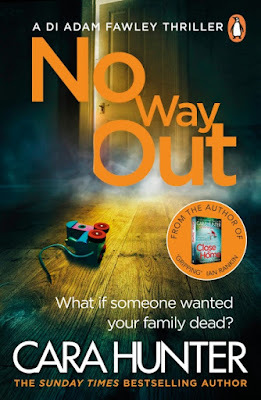 No Way Out is the third title in Cara Hunter's Adam Fawley series, but could easily be read as a stand alone novel. It’s the 4th of January and whilst most are struggling back to work and normality after the Christmas and New Year break, for one family, life will never be normal again. Two young boys are pulled from the wreckage of their burning family home, one dead, one fighting for his life, his parents are nowhere to be found. The fire service are reluctant to speculate on the cause of the fire other than it appears to be deliberate. As if that wasn’t bad enough, the person who started the fire wasn’t an opportunist. It was someone who knew that the family were there, someone who meant to murder. Fawley and his team have some difficult questions to answer. Why were the children in the house alone? Where on earth are the parents? And most importantly who on earth would want to harm two innocent children? No Way Out is available from 18 April 2019.